If his sets weren’t already an indicator, it won’t take long from watching one of the visuals for his productions to decipher that William Djoko likes to entertain. 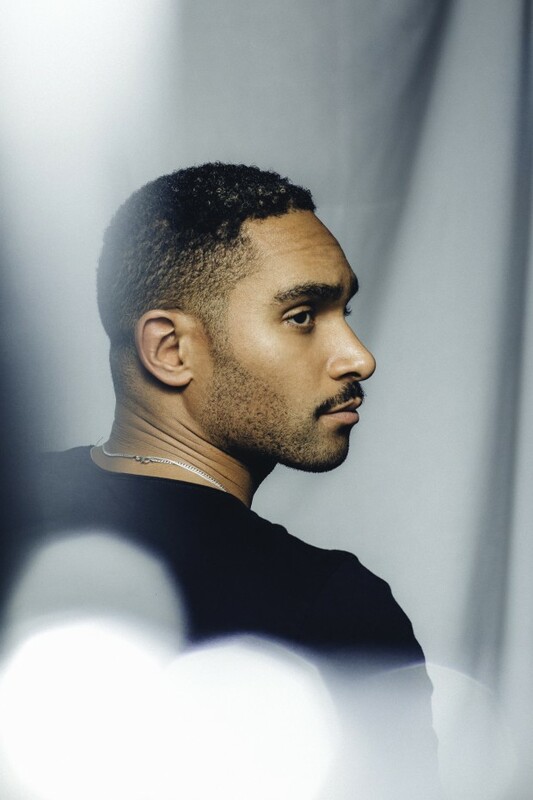 With over a decade in the game, it’s been a long and determined graft for the dancer turned musician, who’s infectious energy and versatility on the decks has seen him enjoy successful long-standing residencies at some of the most respected venues in Amsterdam’s ever-thriving clubbing landscape. In a time where fun and freedom on dancefloors has been questioned with attentions focused on social media and general obsessions with watching the DJ rather than focusing on basic dancefloor etiquette to express yourself, the Dutchman has always made it his mission to bring self expression back to dancefloors. Maintaining a focus on this basic principle has been a key factor in the producers ever-increasing appeal and steady rise, with 2018 his busiest year to date and justified reward that his sets and productions have long since deserved. 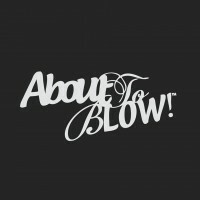 With releases on Mobilee, Tuskegee, Strictly Rhythm and most recently Desolat alongside good friend Loco Dice, the producers expansive soundscape his seen him enjoy regular sets on the DC-10 terrace for Circoloco this summer, as well as Elrow Town, Hideout, Farr, Oasis and The BPM Festival as the Dutchman’s penchant for excitability and (of course) groove sees his DJ diary continue to fill up with bookings outside his hometown city. 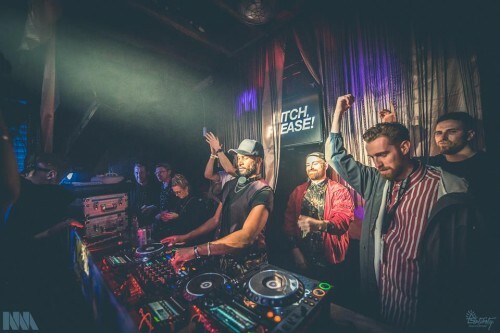 In light of this, and with a return to London’s Tobacco Dock for the massive Cuttin Headz and Fuse London event as part of his LWE residency on the horizon, we caught up with the Dutch artist whose efforts to go against the grain, express and experiment could not have come at a better time. Read below as we catch up over the phone to discuss inspirations, the significance of a residency, sobriety and annoying clubgoers, amongst much more. Thanks for talking to me today! My first memory of your productions was the Darius Syrossian remix I heard back in 2011. I think from a UK perspective people didn’t really start to take notice of you, until the last three or four years. I think so, it’s been a slow and steady process. It is still. You’re at a point now where everybody knows you and things seem to be going quite well. Yeah absolutely, I didn’t mean that in a negative at all that it’s too slow or anything. It’s just not like I’ve risen to fame within the first two years of making my first production. Which I think is a very good thing. 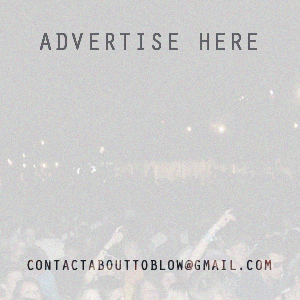 Can you give me a bit of a lowdown of how it all started for you? I know you used to be a dancer. I always liked dancing from an early age. When I was younger coming up as a kid in elementary school, you attend from the ages of eight till about twelve. Even back then I always wanted to be the guy bringing in the CD’s, playing the music and entertaining everyone. I even remember at 3yrs old my dad not being able to take me to the market as there was a street organ there which would play Michael Jackson and he would just end up losing me and I’d get stuck inside there dancing in the street. I think being an entertainer is just in my DNA, I don’t even have control over it. I have various ways of expressing myself. So, it just kind of started from there. I would always be the DJ at parties, at school, and then parties of friends. There was also a local bar across the street from where I used to live across the water and every Queens Day I would bring my music and play. I also did ballet, classical, modern jazz and hip-hop, which I took very seriously, but due to a knee injury that I obtained at an early age that never came to fruition. Then when the dream was about to crumble, that’s when I stumbled on House and Techno music. This was just by a friend saying, ‘here is a microphone, you be the MC’. I had no idea what I was doing except for grabbing the microphone and entertaining people. Literally within a year my friends were like ‘we are going to start a live act and you are going to be the MC’. This was in July 2004 which was the first time we performed as Jason and the Argonauts. I then asked them how do you guys make the music? They taught me how to make loops in Reason, so I downloaded a cracked version and started f**king about with that for a bit. I then did my first remix within the year and a year later my first EP, and here we are now in 2018. So, you actually tried your hand at producing before DJ’ing? I was an MC before I was properly producing and DJ’ing. I’ve basically done everything, like I said I want to entertain. I don’t necessarily see myself as ‘a DJ’ or ‘a this’ or ‘a that’ it’s actually very limiting to what I can do. I recently watched your Oasis Festival Set, and I got that ‘entertainer’ vibe from you. Especially as the camera was on you the whole time, you could see that you were having a lot of fun. It was the opening set and I think it wasn’t that busy yet, that’s why I think they kept the camera on me (laughs). I always tell my manager I don’t want to just play sets and people only see me dancing because I’ll do that regardless, whether there’s people there or not, I’ll have fun anyway. I always hope that the energy is infectious which usually it is most of the time, and then we work from there on the crowd interaction. It’s interesting what you said about not wanting everyone just staring at a stage with you on it. I know when you were at Trouw the [DJ] booth was actually on the ground level in the middle of the club. I think that’s how it should be, not just people standing there staring at a DJ. It’s very paralyzing for everyone, it works both ways. I was playing at another DJ booth on ground level at a festival this summer in Amsterdam and the first, second and third rows were just girls staring at me because they were mystified (laughs). It’s a beautiful compliment but at the same time it paralyzes both me and the dancefloor because it becomes more of a staring kind of thing. So, with that being said, I then try to play more obscene, experimental, and techno stuff just to try and get them out of the way a little bit again. This is so they move back and then I can get back to the good juicy stuff again then we can all interact together. It is very funny, do you know Jarreau Vandal (from Amsterdam)? He tweeted ‘there’s always that one person at the front, who just stands there and stares at you for the whole set’. Yeah, I tend to have that, and then an entire row almost like a 360 around me is entirely ladies. It sounds very alluring, but like I said before it paralyzes the whole dancefloor. I feel that the female energy is very important on the dancefloor though, so I tend to try and cater more to the female energy as I think they have the most fun on the dancefloor. It automatically attracts an energy that’s magnetic and I really love it. However, my main objective is for everyone to interact with one another and I’ll interact with you, and we can smile at each other. You mentioned earlier that you started as an MC, is that something that you’re going to start bringing into your own productions more? I’ve always done that, but I didn’t promote it as such. I released this song ‘Hard Loving’ which is from 2008, and a few other bits with my own vocals. I also have a new EP coming out with Whiplash which is soon to be announced. We’ve been testing it all year, it has a really big drum-break, and there are also vocals which are mine on there. It’s always when the first vocal hits, people start cheering and they don’t know why, and I don’t know why either but apparently my voice is very appealing on the track and the whole composition. Listening to your music reminds me somewhat of Seven Davis Jr. He incorporates his vocals in a similar kind of way to yours. Oh wow, that’s a huge compliment, I love Seven Davis Jr. I used to play live sets before I started DJ’ing and I’ve stopped doing them for about three years now and I’m just focusing more on DJ’ing. But I do have an EP called ‘Men Like Me’ which also features my own vocals from about five years ago with a freaked out remix from Matthew Herbert on there too. 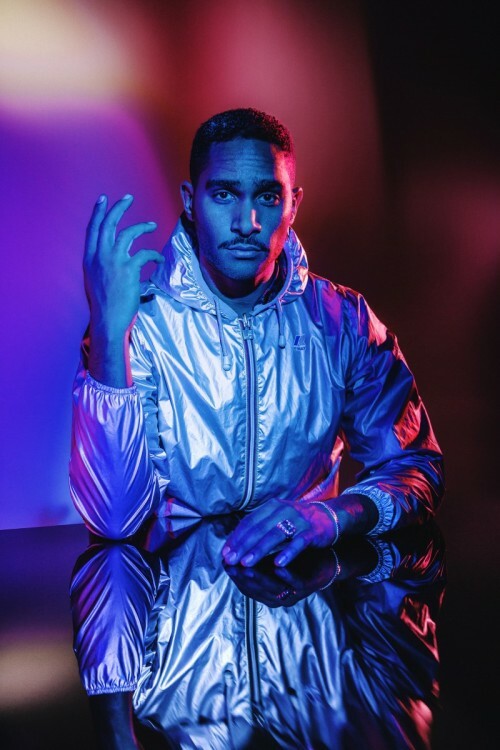 Speaking of vocals, you just released your collab with Loco Dice, ‘Out of Reach’ – can you tell me a bit about that and the video? It was the biggest compliment as I was in London last year for Christmas dinner so, December. Then all of a sudden Dice texted me and asked me to work on his album, saying that he feels we need to do a project together and he has something lying around. Of course, I said yeah, sure. So, we had a few phone calls and from there he sent me the parts he was working on and I was able to elaborate on that in my own studio. We then eventually went to the studio together and painted the rest of the track, as well as incorporating both our own vocals. Everyone has been absolutely loving the video. Who came up with the concept for the ‘fear and loathing’ idea? I was so lucky to have Rakhim Helm as the director. He’s just a visionary director and really easy to work with and he and his team basically came up with the idea. We actually shot the whole video in one day. Also this whole summer I was experimenting by not drinking and staying sober. I did that for 18 weeks and it ended last week when I was in Marrakech. I felt like my sense of self, and self-expression was clearer, so during the shoot of the video my energy increased Dices and vice versa. Everything happened so naturally with Rakhim giving us little hints of what he wanted as well as the set designer, who is the real genius behind the visuals for the video, I stepped in did my part and then walked out still covered in fake blood. It’s interesting what you just said about staying sober for the summer. Where did that idea come from? Earlier this year something big happened in the dance industry encouraging us to join together and become unified. I was actually already playing with the concept for a bit, cause I like to talk, think clearly and discuss bigger concepts, not just regular chit chat. I was speaking to my manager earlier this year, and we were in a weird spot where I decided “I’m going to stop talking now and get back to you as I felt I needed to find the best way to express myself towards you.” From there I started writing, and within that I wrote down what I found positive, how I envision my surroundings and what I want to give to it. So not saying ‘I don’t want this’ ‘I don’t want that’ just writing down positivity, during this a whole new side of me came about, but I was drinking and partying the whole time. That basically just didn’t work, it was like trying to reach for something, but I was sabotaging myself of actually pursuing it. Then early May I went back to Amsterdam and I bumped into a buddy of mine on the street. He told me he was sober for one year and just set up his own restaurant. I knew him from way before and I was surprised that he did that in one year just because he wasn’t drinking. That did it for me because literally the next day I just stopped (drinking). There was no problem whatsoever, so I just told myself 18 weeks because I needed to give myself a time-frame, and the wonders it did for me were unbelievable. You’re actually the first person I’m telling publicly, I didn’t publicise it because I literally just did it for me. I wanted to see how I influence my environment and how it also influences me, as well as what it’s like to DJ and be professional, being on stage and just being present in the moment. I feel that I’ve gotten so much better as an artist and as a human I’ve grown as well, it’s been a very positive experience and still is. Congratulations! I think it’s an amazing thing to do at this stage in your career as you are flying high right now. You’ve taken that step to make sure you seize every moment. I think it’s important to realise what you have instead of always trying to acquire the next thing, or trying to reach that, sometimes you might be overreaching and you’re unaware of the fact that you’re overreaching because you feel like you’re entitled to something. But when we just step back and you’re like wow, I really have supportive people within my surroundings and I cherish every moment I get to spend with them. You know just to be actually alive, witnessing life as it happens. It’s funny if you juxtapose it to the fear & loathing setting of ‘Out of Reach’, ‘overreaching’, ‘out of reach’ I just thought of that now. It’s interesting that this happened at a time where so many people are talking about mental health awareness and making sure that you are in a good space mentally. It sounds like you’re on board. Yeah it just felt like the right thing to do, we always say keep an eye on each other after something big happens, like what happened earlier this year. You then find everyone is in the moment, but over time it dilutes, and everyone gets back to the grind. I do feel like I’ve become a lot quieter, I especially notice it in a discussion, I’ll have an opinion, but if I feel It won’t add anything positive, I’ll be quiet, and I find I can actually listen better to people now. I feel now that If people need help they’ll talk about it earlier or I’ll notice it earlier. There’s been some occasions this summer where I’ve gotten into really profound conversations with people that actually opened up something new within them and myself. I feel that if we all get to do that a bit more we will automatically take care of one another. The music industry can be very debaucherous so it’s nice to actually come away from that and be the best representation of yourself. I have to say it is f**king boring though (laughs). So, in those moments where you felt like that you must’ve been like should I just quit this now? The first week or two is very hard, I must admit. You really have to do it for you, if it’s not something you want to do for yourself it will be really hard to get into it, you have to want it. I felt that I needed it and I wanted it, and it comes at a low price of going home early after a show. Then eventually you get to enjoy the mundane things like seeing your friends and your family, maybe cleaning your house and doing your groceries. I also did a remix for Cassius this summer, and I finished it in such a short time. It was like wow, the three days I would have in-between touring, I would be hungover, and I wouldn’t have been able to do the remix for Cassius with the same clarity as I did. That’s crazy, I see you’re playing with them at Shelter soon? Yeah, I invited them for my night at Shelter, it will be on the 29th of September. They are my teenage heroes. That basically happened before the remix even came about for “W18” and the guys are really happy with my remix. I’m not sure when it’s coming out yet, but I hope to get some more info on it soon. In terms of residencies, you’ve been playing Shelter, Trouw, Studio 80 and for LWE. You must look back at those as some of your best memories of DJ’ing? Residencies are very important, if you’re coming up as a DJ or interested in improving yourself, a residency slot somewhere is very highly recommended. It’s very important to get that trust from someone in the first place of course, but then also you get to know the club, prepare your set and envision yourself playing that room. You’ll also have an idea of what the crowd is going to be like. The 14 years that I’ve been performing, but a little bit less as a resident, being able to open, being able to close, it’s really helped me so much as a performer and getting better. It’s been so important that LWE has given me this slot, it’s the best thing playing on an amazing line-up, it’s a big blessing. 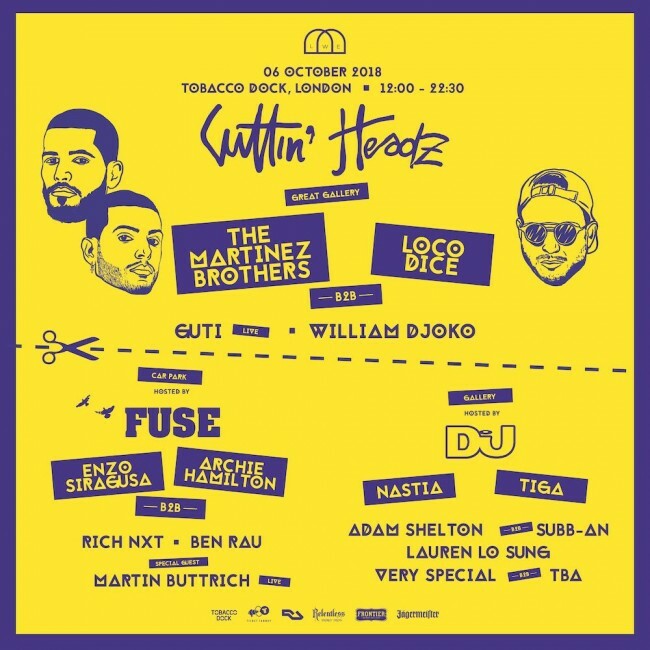 Looking forward to your set at Tobacco Dock for the Cuttin’ Headz event, playing on the line-up with the Martinez Brothers I know musically you have really clicked, how did your relationship come about with them and what are your best memories of playing with them? Chris and Steve are just so much fun to be around, and artistry just comes so naturally to them. I remember the first time I met them was in 2012 while I was playing a live set at Concrete. When I played that set, I blew myself away and then Chris & Steve were playing after me. 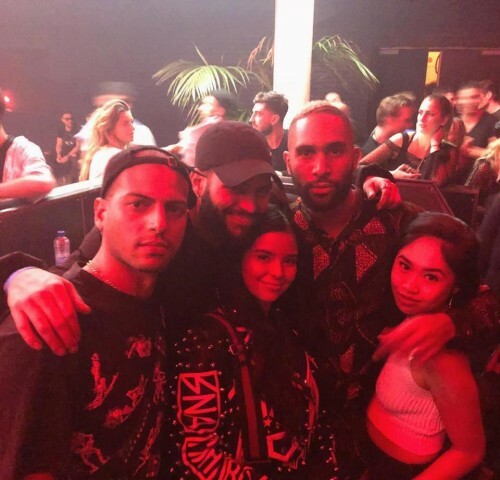 But just over time you get to spend time in Ibiza, Amsterdam and London and you start meeting each other all-over and forming a more personal connection. Then it just evolves from there, but they are just positive vibes all-over, as am I – I think that’s what makes us click. What are your memories of playing Tobacco Dock and playing in London, compared to other crowds, how do you find it? London crowds are great and really enthusiastic. I must say I have a fantastic fan base in London, especially over the course of the last year when LWE took me on at Printworks. Everyone has been really supportive of me and what I do, even after my sets I like walking through the crowd and talking to different people. The number of testimonials my manager gets from people is surreal, just so many positive messages. It’s what I love to do and I’m just so thankful and grateful. London definitely has a special place in my heart always. Ultimately, how would you like to be remembered, when your career is winding down? I want to be remembered as someone who has a positive outlook on the world, bringing positive energy to people whilst also creating it with people. All around just a fun guy who you can have a real conversation with and when you listen to my music it will make you smile. William Djoko plays alongside The Martinez Brothers, Loco Dice, Nastia and Fuse London at London’s Tobacco Dock this Saturday 6th October, tickets and more info are available here.